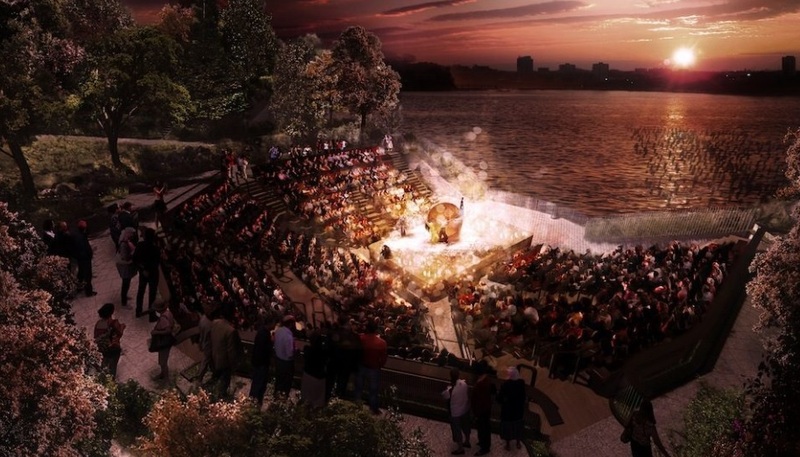 Heatherwick, famous for designing the Olympic cauldron for the 2012 Summer Olympics in London, was selected over three other firms by Diller and his team through an informal design competition. 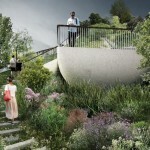 Heatherwick Studio is known for its creative, unexpected approach to projects, from a new design for London’s double-decker bus to a bridge over the Thames River to a massive art piece for New York’s Hudson Yards. 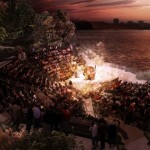 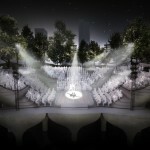 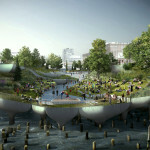 But Pier 55 is sure to put Heatherwick and his studio on the map in an even bigger way. 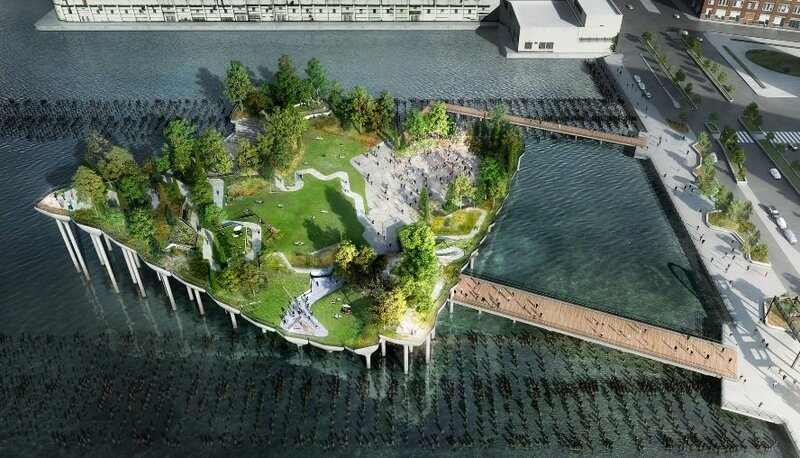 The Pier 55 park, which is not really a pier at all, will replace the existing, crumbling Pier 54. 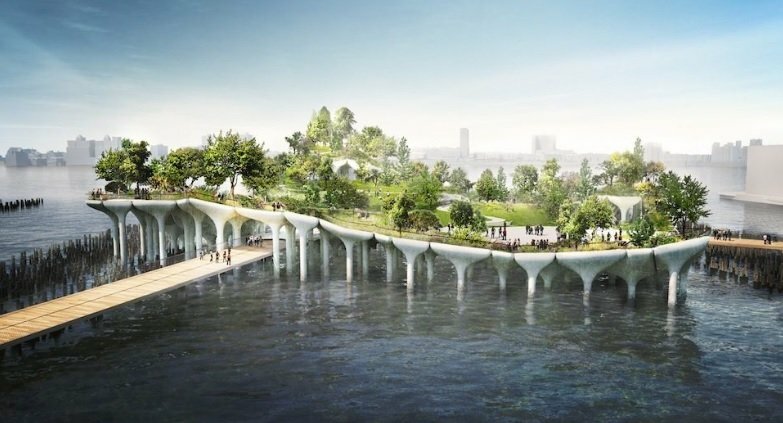 It’s a parallelogram-shaped platform that will sit atop 300 mushroom-shaped concrete columns ranging in height from 70 to 15 feet above the water. 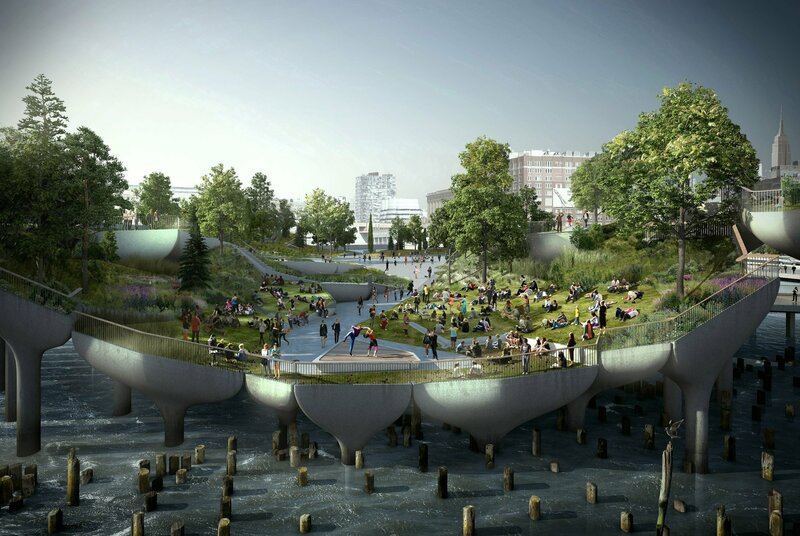 Heatherwick likens the columns to the wooden piles– the old infrastructural supports for the piers–which still remain in the water as an intrinsic part of the Hudson River landscape. 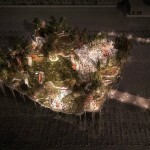 He decided to make his columns “the heroes of the project,” rather than hiding them underneath. 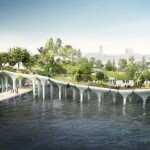 Heatherwick chose the shape of the park because the traditional pier design spreads people out, whereas his organic shape encourages mingling and community. 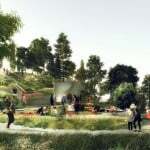 And by having the surface shaped like a bowl, visitors can see each other from different levels, and the performance spaces have ideal sightlines. 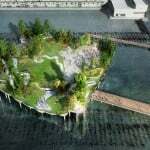 It’s also perpendicular to the street grid, so if you look west on 14th or 15th Streets, the park is square to you, but when viewed from Hudson River Park, it twists slightly, becoming more dynamic.